The take-up of the Government's Knowledge Development Box (KDB) tax-relief scheme by companies has to date fallen far short of initial estimates. 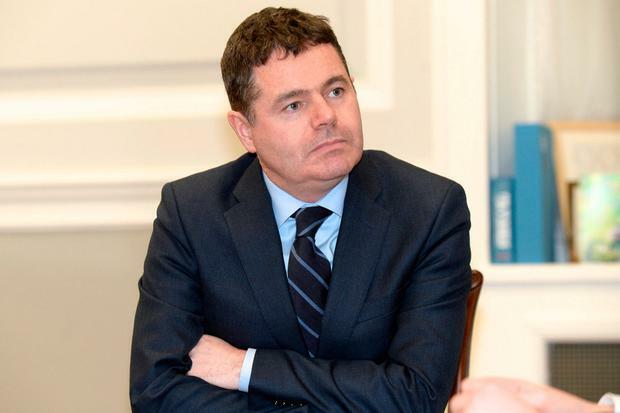 According to Finance Minister Paschal Donohoe no more than 10 companies have claimed tax relief under the Government's scheme - costing the State around €5m to date in tax relief. The KDB was introduced in the 2015 Finance Act and it is a tax relief on the profits earned from the exploitation of patents, copyrighted software and Intellectual Property (IP) for small companies, provided that the IP was developed through R&D carried out in Ireland. The figures have been provided in a written Dáil reply to Fianna Fáil finance spokesman, Michael McGrath. Mr McGrath said yesterday: "While it may be too early to draw any definitive conclusions on the scheme, the take-up so far is dramatically less than the Government predicted back in October 2015. "At that time, the estimate was that the tax foregone from the scheme would be €31m in 2016 and €50m in a full year. The promotion of value-added Research and Development is an important part of our investment offering and the effectiveness of this scheme needs to be kept under review." In his written Dáil reply, Mr Donohoe said that the figures provided are preliminary. He added that the first corporation tax returns in which relief could be claimed were due for filing up to September 23, 2017. "However, as the regime is complex and a company must make an irrevocable election into the KDB, the legislation provided that companies had a 24-month period in which to make their claim for relief," said Mr Donohoe. "Therefore, most companies have until the end of this year to submit their claims for their 2016 accounting periods. "At the outset it was anticipated that companies would make full use of that 24-month period to make a decision on whether or not to elect into the KDB." He said that the figures are preliminary and should not be used to assess the impact of the relief until they are finalised after December this year."